Caroline M. (Wagner) Garner, age 77, of Lyons, Ohio, entered into eternal life on Monday evening, August 20, 2018, at Hospice of Northwest Ohio in Toledo surrounded by family and friends. She was born September 17, 1940 in Toledo, Ohio to Mildred (Sindel) and Ellsworth Glenn Wagner. Carol attended Whitmer High School and was an LPN nurse. Carol truly enjoyed being a mother and homemaker. She was a cake decorator and an excellent cook. In 1982, she decided to go back to school and became a Licensed Practical Nurse. As a nurse, Carol was always eager to help other people; especially children. She worked at Detwiler Manor in Wauseon, Morenci Hospital and in a pediatrician’s office. She enjoyed knitting, sewing and loved animals; especially the many cats that she cared for over the years. Carol’s kind heart and wonderful sense of humor endeared her to everyone she met. Left to cherish her memory are her children: daughter, Karen (fiancée Mike) Garner; son, Michael Garner; stepdaughter, Pam Collins; stepson, Greg Garner. 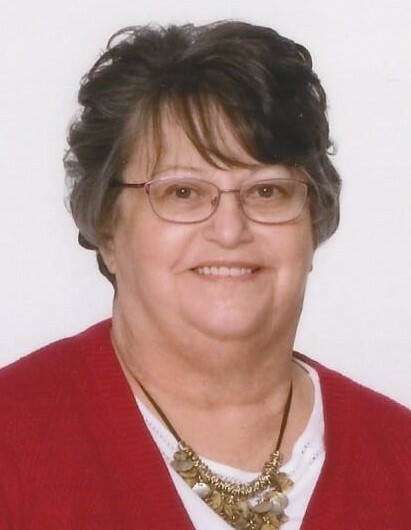 She has 8 grandchildren and 1 great-grandchild; stepsister, Janice Clark; stepbrother, Don Atzinger; several nieces, nephews and cousins; as well as her many friends. Caroline was preceded in death by her parents, Ellsworth and Mildred; half-brother, Donald Wagner; stepbrother, Frank Atzinger and stepmother, Esther Wagner. A Memorial Service will be held Saturday, December 1st at 11:30 a.m. at Lyons Christian Church Friendship Hall at 138 E Morenci St., Lyons, OH. Pastor Heather Schimmel will officiate. Interment will follow at Lyons Cemetery. Memorial contributions may be made to St. Jude Children's Research Hospital or Fulton County Humane Society.